These are regular cakes, NOT ice cream cakes! In most cases, we need at least a 2 week notice. Must be paid in full 1 week before delivery! Cake slices are 1“ wide by 2” long by 2 layers. 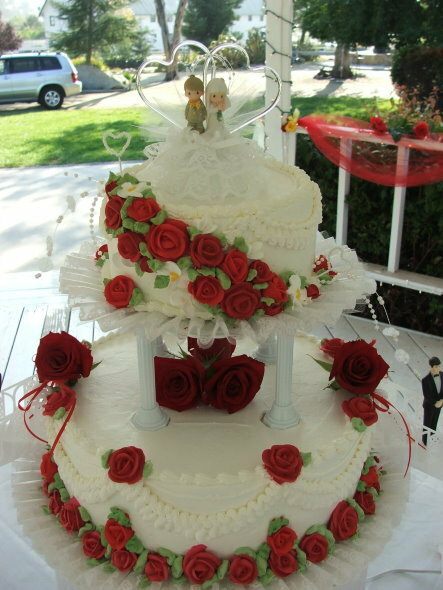 Top tier is normally saved for the bride and groom. 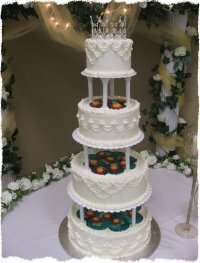 If you want the slices twice as large (2” wide, 2” long by 2 layers), then cut the amount of servings per cake in half. 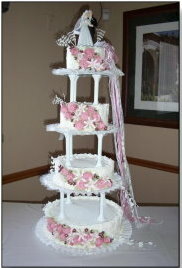 Cakes that are 3 tiers and up include delivery and setup in the Porterville area. 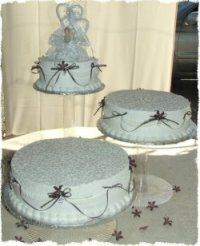 Fondant or specialty decorations may be extra. 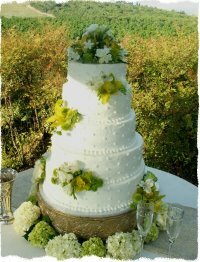 Please call for an appointment to discuss your wedding cake!